Manual Therapy describes a type of clinical physiotherapy technique. It uses sophisticated hands on movements to diagnose and treat soft tissues and joints structures. 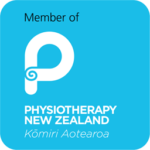 A physiotherapist physically kneads and manipulates your joints, muscles, and tissues in order to diagnose biomechanical injuries, reduce pain, and promote proper healing. Since there are many different types of manual therapy techniques, a physiotherapist will be able to determine which technique best fits your needs. Any joint, muscle, or tissue that is inflamed or tense would actively benefit from manual therapy. Manual therapy isn’t limited to a specific part of your body. Overall, that means that any joint or muscle can actively be treated by manual therapy. Manual therapy effectively addresses the mechanical, biochemical, and psychological qualities of the treatment process. You’re expected to see better range of motion in stiffer joints and pain relief by improving how your brain processes pain signals. One of your body’s main systems that controls pain is activated by specific muscle movements, which means that manual therapy can help ease how much pain you experience.